We are able to ship to virtually any address worldwide. When you place an order, there will be an additional charge for delivery and the cost of delivery will vary depending on your location and the exact cost will be calculated for you on secure checkout before you pay for your goods. The current delivery time from ordering is between 14-21 days. 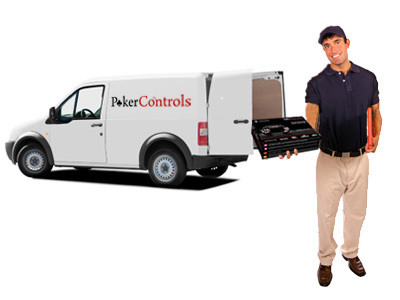 All Poker Controls products have a 12 month manufacturers return to base warranty. All products are CE and FCC certified. All prices are in USD. Copyright 2019 Poker Controls Online Store.